Los Angeles, CA. 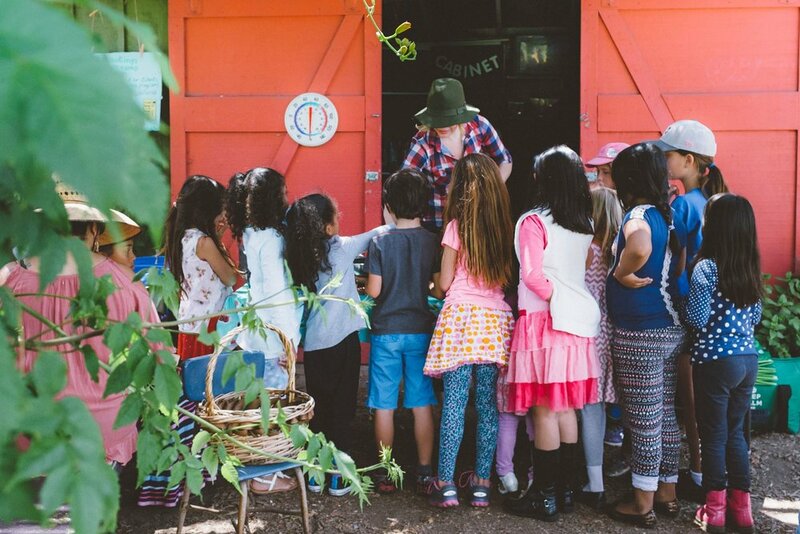 The Garden School Foundation is a non-profit organization empowering Los Angeles elementary & high school school students to grow, harvest, and cook their own food by planting school gardens and providing garden curriculum & teacher training. Tell us about your organization, what do you do? The Garden School Foundation is a 501(c)3 non-profit dedicated to providing a wide scope of education through hands-on learning in real-life outdoor classrooms. Turning asphalt into ecosystems, we teach hands-on classes and cooking lessons in the garden classroom and provide educators the tools they need to make school gardens and children thrive. We find that kids who grow vegetables... eat vegetables. Thus, we are passionate about helping students learn to plant seeds, grow food, maintain a garden, harvest their crops, and finally, cook a meal to enjoy together. We currently serve at 6 title-1 elementary schools and one Los Angeles high school, reaching over 2,500 students and their families. Tell us how your organization got started & why. 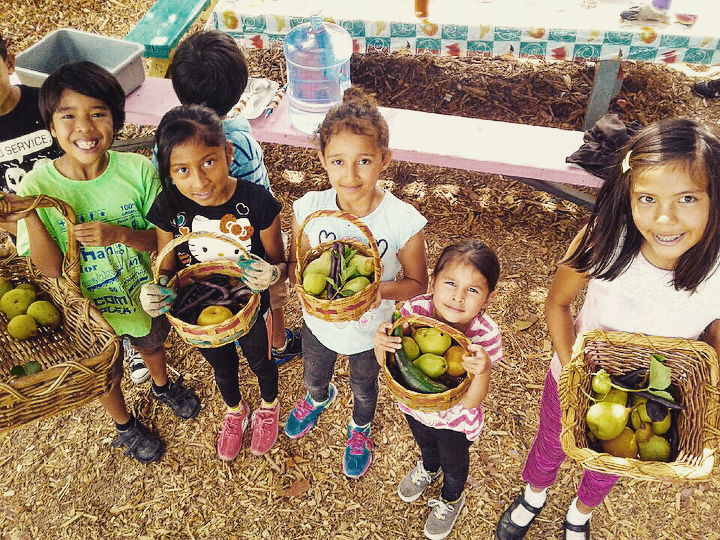 The Garden School Foundation was founded in 2005, when a coalition of educators, community organizations, and concerned citizens sought to address the connection between poverty, fresh/healthy food access, and academic performance. At our pilot school (24th Street Elementary) we transformed the paved lot into our flagship 1.5 acre garden classroom. It is the most developed and utilized elementary school garden in Los Angeles, containing an outdoor kitchen and classroom, 30 raised vegetable beds, an orchard with over 60 fruit trees, a comprehensive compost demonstration site, and a food production garden. It is here that we have developed and begun to teach our unique Seed to Table curriculum to 600 children in South Los Angeles. What are you working on right now? What are you most excited about? What's your mission or long-term goals? GSF's long term mission is to make garden accessible to all students. We're always working to help students & gardens thrive. We're working on expanding our Seed to Table program. GSF's Seed to Table is a year-round program of garden-based education for grades K-5th designed to fully integrate gardens into the school community and help schools maximize a garden’s transformative potential. In the program, students visit the garden every other week during the school day for a Nutritional Cooking class or a Science-themed garden class. This fall we're especially excited about growing 24th Street Elementary's Community Garden Days. On these days, we gather with our friends to do the necessary work of beautifying the garden and keeping it edible for our classes. This year we're introducing fun seasonal cooking demos and workshops at every Community Garden Day. We love watching our students share their garden with their families. We're also thrilled to announce our new Teacher Training Program designed to help garden educators take their classes to the next level. Our training sessions are tailored to individual school’s needs and held at the school site. During sessions we share all that we’ve learned in 11+ years of inspiring countless little chefs and gardeners across Los Angeles. Our workshops will include topics such as garden maintenance and development, curriculum and lesson planning, child management in the outdoor classroom, volunteer and community outreach, and the sharing of valuable resources we gathered through years of our years of teaching and community engagement. What frustrates you most about your work or the current food culture at large? What do you wish to change the most? When we feel frustrated about large, systemic issues of inequality in the food culture at large, we focus on local ways we can effect change in our communities. We believe that in learning to care for soil, plants, and food, students grow to understand the impact they have on their environment and their community. GSF's programming specifically addresses the issues of poverty, food insecurity and lack of access in Los Angeles, which is widely known as a "food desert. At our Community Garden Days, we send bags of fresh, organic fruits and veggies home with our community volunteers. We love watching our community interact with the garden, and are happy to make fresh food more accessible. We are excited to watch as this program grows and reaches more and more families. Any recent moments of optimism? Things you see changing for the better? We're always inspired by our volunteers who help keep our garden beautiful, organic, and edible. Our volunteers play a vital role in the work that we do at GSF, and our gardens wouldn't thrive without their care. We are hopeful for the future, because we see first-hand the passion of our volunteers and how devoted they are to making the future greener. What's your favorite vegetable to eat, grow, or wear? One of our favorite veggies is beets! Super healthy and dense, they include nutrients like potassium and Vitamin C. They're easy to grow and quite hardy. They look beautiful in salads, and their juice can be used as an all natural dye! Beets are truly a hard-working veggie.